With winter in full flight the area of Benalmadena is a very different location to during the summer months where the streets burst with tourists and the heat radiates from the beautiful sandy beaches. However just a couple of months on does not mean that our MAC Hotel Puerto Marina cant offer the ultimate winter holiday destination. So open your mind to a world of new ideas and see a different side of Malaga during your holiday to Benalmadena. Although the temperatures may have fallen below 20 degrees the sun is still shining and the opportunity to explore becomes the perfect option. Here in Andalucia it is known for the beautiful Pueblos Blancos (White Villages) which sit inland and conceal some of the most picturesque and traditional secrets of the region. Although too hot to explore during July and August now the towns are the perfect alternative plan this winter. 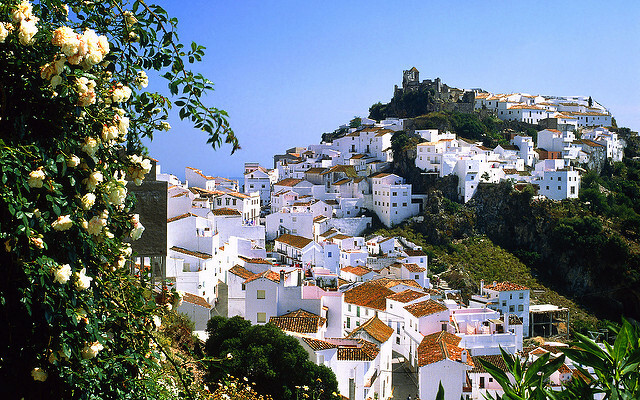 So explore the narrow streets of Mijas, Comares or Frigiliana and see another side to Andalucia. Known for its incredible beaches here on the Costa del Sol it is often difficult to remember that just 100km inland you can find some world renowned ski slopes. Why not spend a day in the Sierra Nevada and test your skills on the slopes and make the most of this holiday destination that combines the best of both worlds. Enjoy a winter in Benalmadena with MAC Hotels and see how summer holidays aren’t always the best time of the year. With more than 300 days of sunshine each year in Malaga, you can expect some good weather in Malaga year round but if you are unlucky enough to get caught in a spot of rain then there is no better excuse to bar hop and try some of the best cuisine like the “Plato de los Montes” which is a huge plate full of every kind of meat, fried potatoes and fried green peppers. You don’t need to worry squeezing into your bikini for the next few months so why not enjoy this perfect winter warmer. One of the other magical times of year in Benalmadena is December as the cities and towns get ready for the annual Christmas festivities which are some of the biggest celebrations in Malaga. It is the perfect time to visit with a host of festive activities taking place including the lighting of the Christmas lights which illuminate the main street of Calle Larios. Although the date is not confirmed you can expect this to occur the end of November. Visitors can enjoy a spot of Christmas shopping or even explore the city in search of the traditional Belens (Nativity Scenes). So with so many things to do and see for all ages, whatever time of year it is, it is a great time of year to visit Benalmadena.